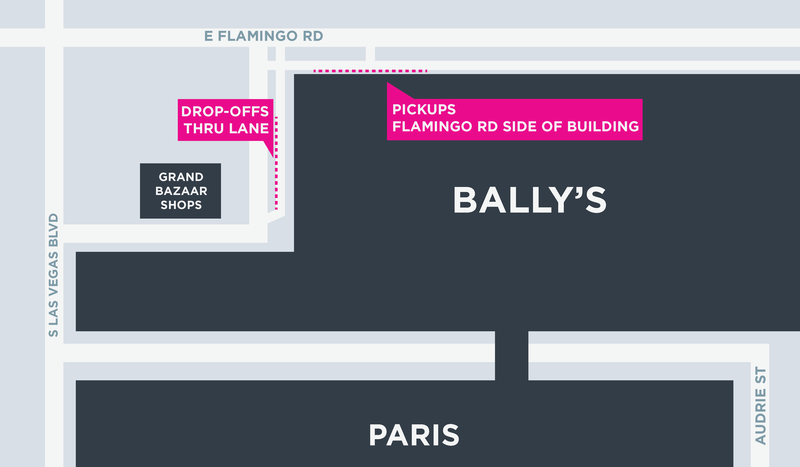 Lyft is available on and around the Las Vegas Strip. As a driver, you are responsible for familiarizing yourself with each casino and major venue's designated pickup and drop-off areas. Click the images to enlarge. Picking up & dropping off on Las Vegas Blvd and bus stops is strictly prohibited. Violations will result in penalty fines. 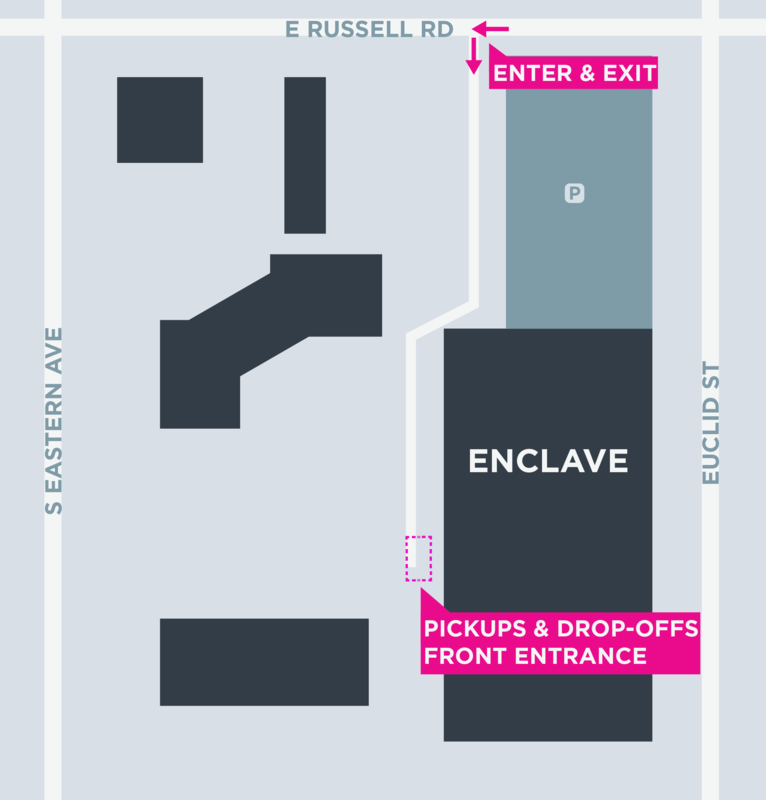 The Lyft Art Park is the primary location for pickups downtown (not for drop-offs). 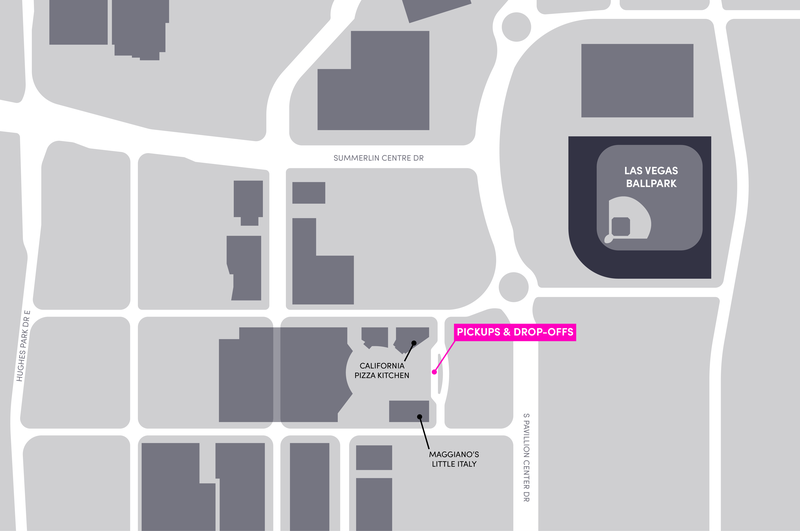 Drivers must enter the lot from 6th St and exit onto Las Vegas Blvd heading North only (no southbound turn available). Do not use the taxi or valet lanes. No staging is available. 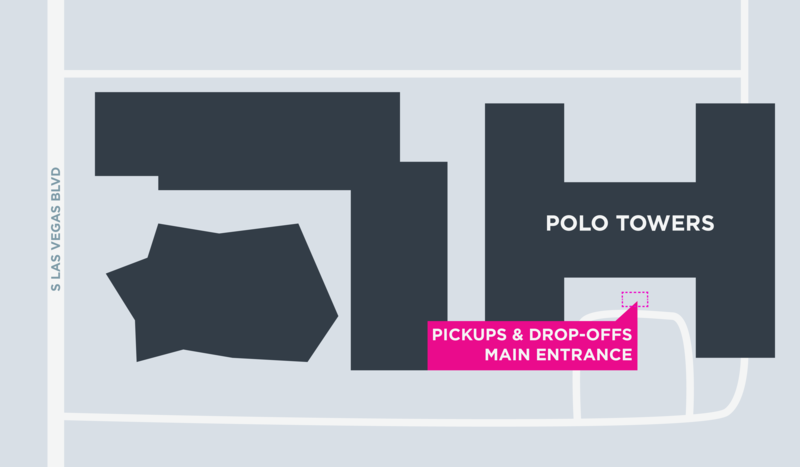 Pickup and drop-offs are no longer available in front of the North Hall. Pick up passengers from the driveway off Sands Ave in the left-most lane, outside of the cement columns. Do not use the taxi or valet lane. Do not stage or wait for requests in the driveway. Drop off passengers in the driveway off Sands Ave in the left-most lane, outside of the cement columns. Pick up passengers from the ground level of the parking garage. 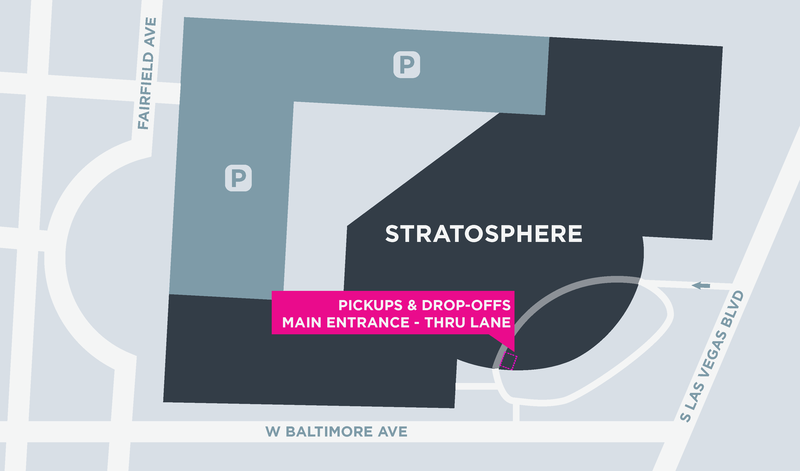 Drop off passengers in the designated drop-off location in the parking garage via Symphony Ave. Pick up passengers from Gate 1. Do not use the taxi or valet areas. Drop off passengers in at Gate 1. 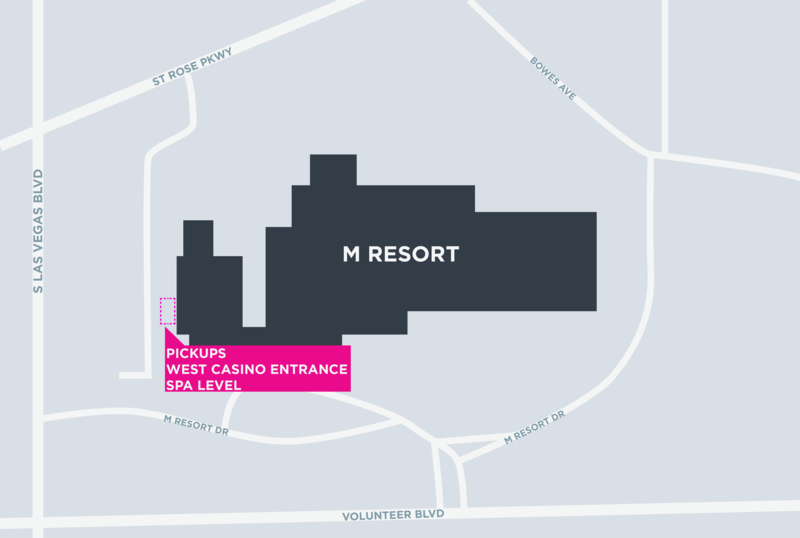 Pick up passengers at the back of the hotel, at the casino entrance (open in Google Maps). Do not pick up from the main entrance. Drop off passengers either at the casino or main entrance. 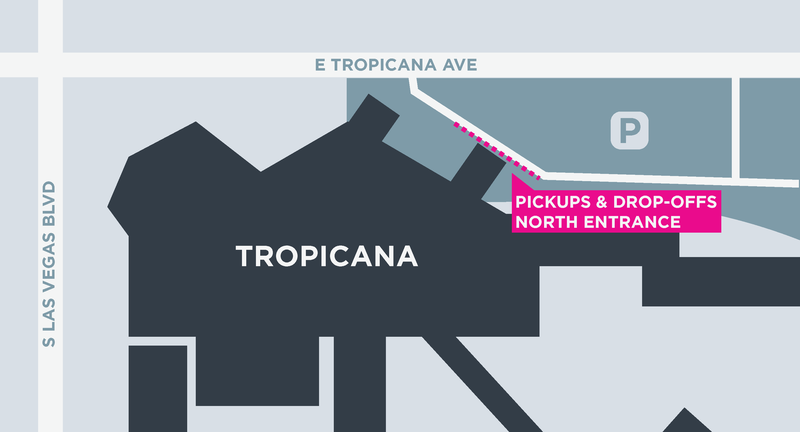 Pick-up is located at North Valet lower level. 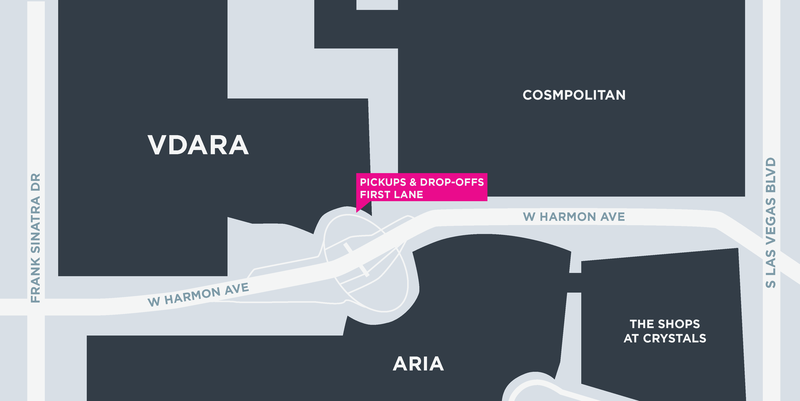 Follow the “ARIA RIDESHARE PICKUP" signage on Harmon Circle down the ramp under the overpass towards the lower level. Do not pick up from the North Valet upper level. Drop off passengers at the Main Entrance or North Entrance in the left lane. 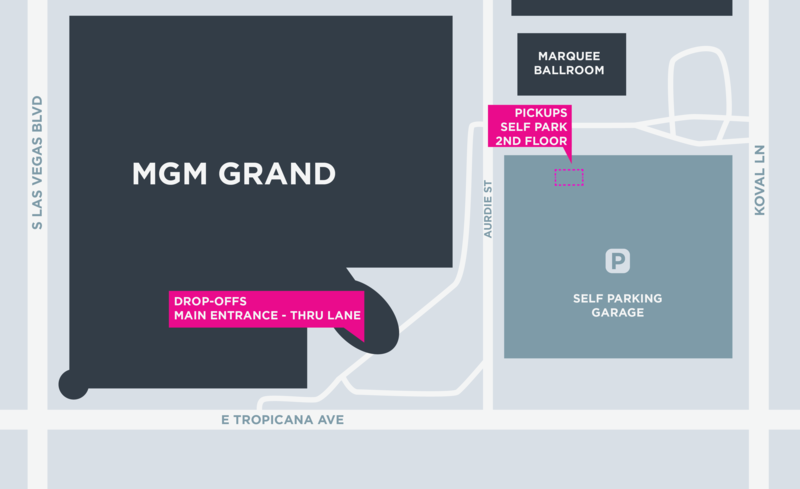 Pick up passengers from the side of the hotel closest to Flamingo Rd (open in Google Maps). Drop off passengers at the main hotel entrance only in the thru lane. Pick up passengers from the Tour Bus Lobby. Follow the signs to go underground to the Bus Pickup Lobby. 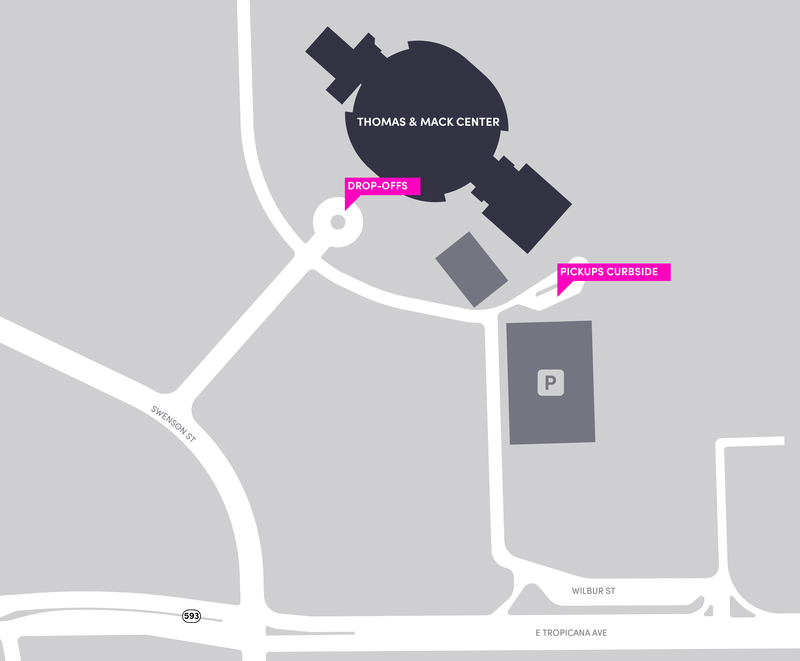 Pick up passengers from the from valet/shuttle bus area across from the main entrance (open in Google Maps). 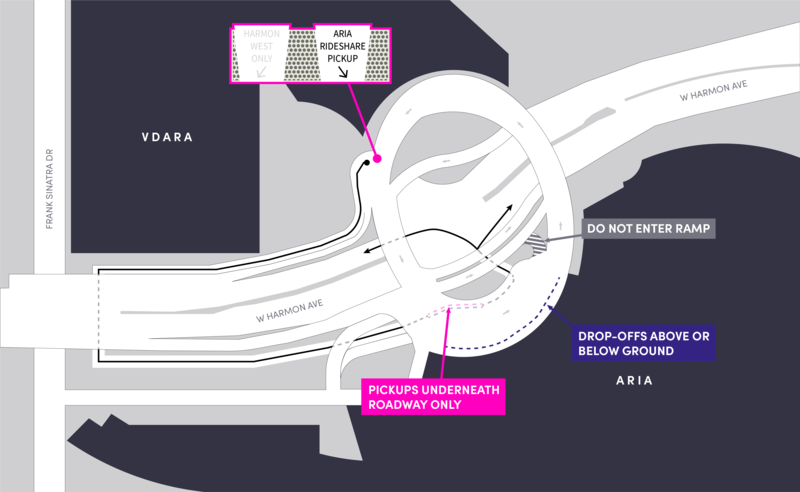 Drop off passengers at one of the three drop-off zones in the map below. 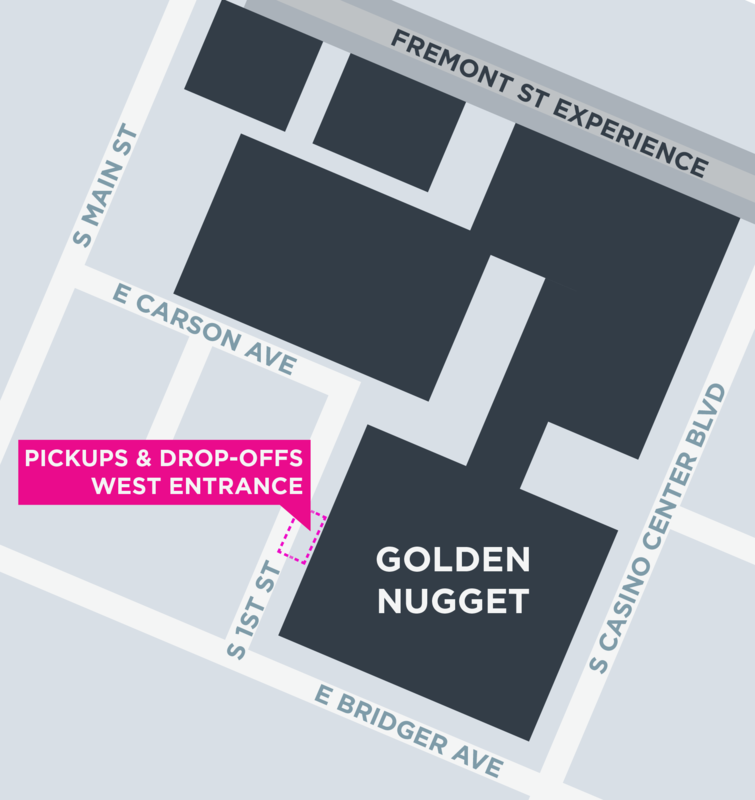 Pick up passengers on the south side of the Cashman Field Center. 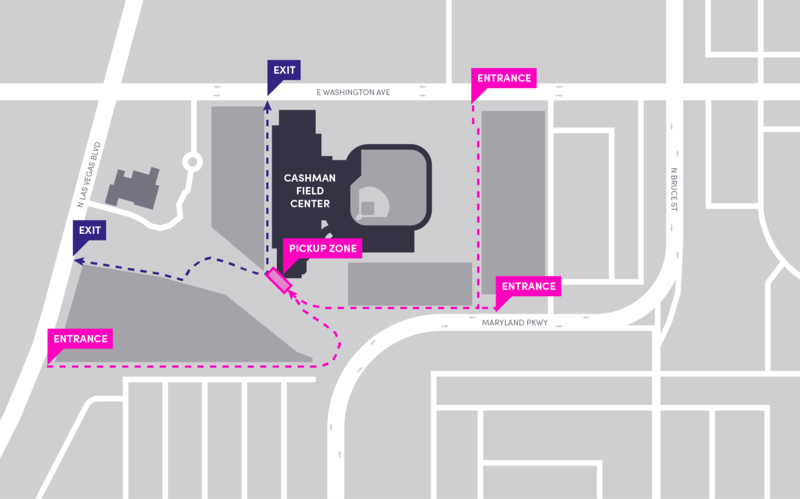 Drop off passengers on the south side of the Cashman Field Center. 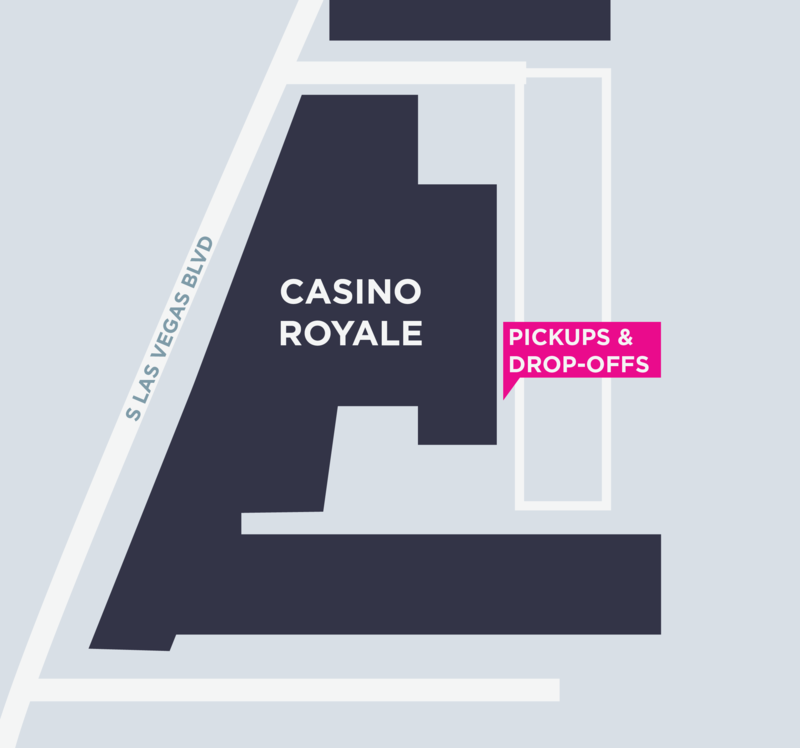 Pick up passengers from in front the parking lot next to entrance doors behind Casino Royale. Do not pick up passengers on Las Vegas Blvd. 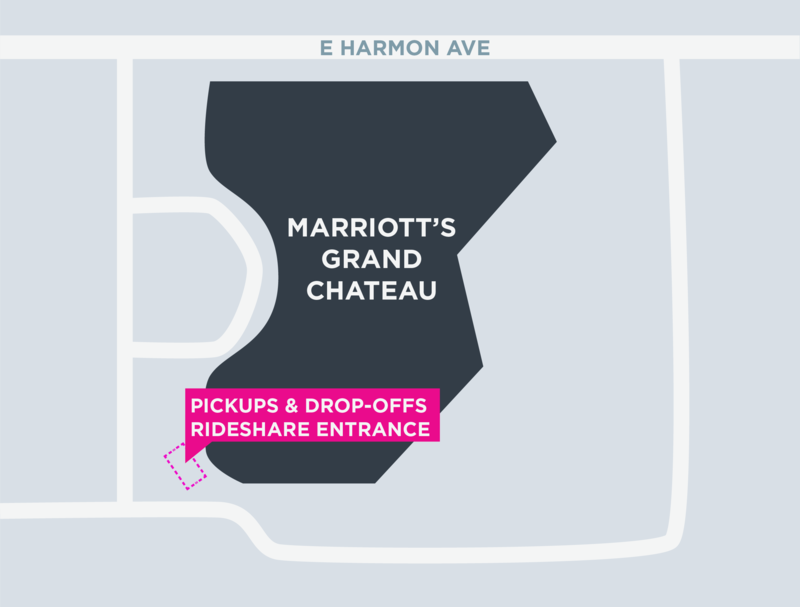 Drop off passengers either in front of the hotel lobby or the valet area. Do not drop off passengers on Las Vegas Blvd. 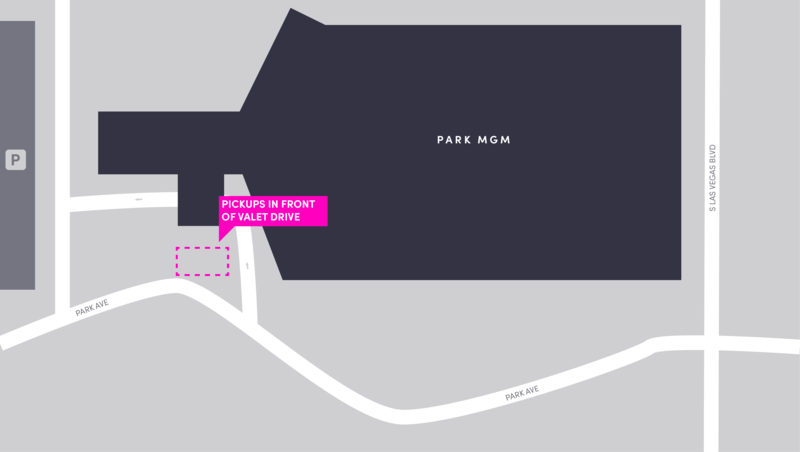 Pick up passengers past the main entrance, by the east entrance (open in Google Maps). Drop off passengers past the main entrance, by the east entrance. 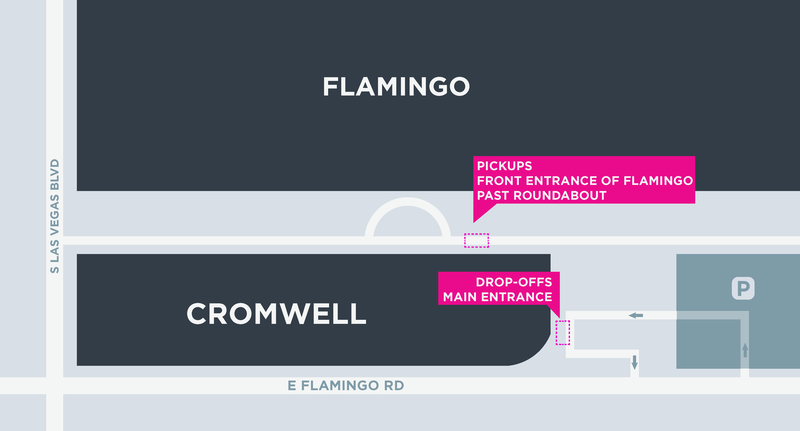 Pick up passengers past the roundabout at the Flamingo hotel entrance (open in Google Maps). 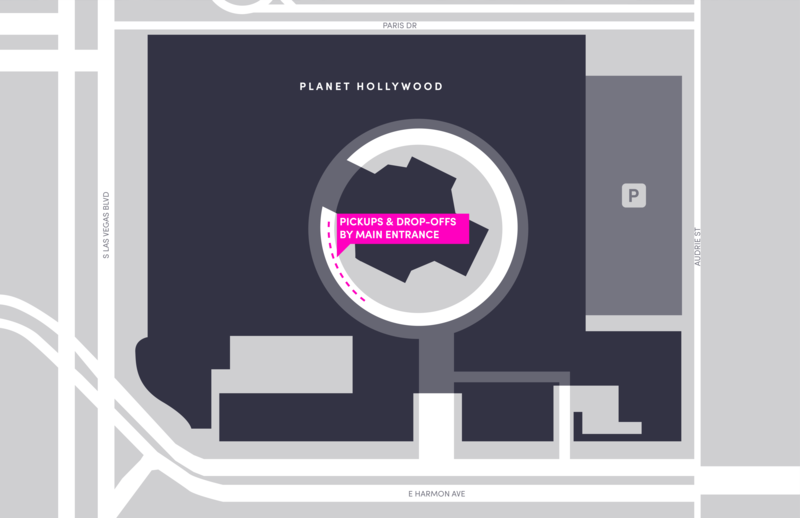 Pick up passengers past the main entrance — look for the "Rideshare Pickup" sign (open in Google Maps). 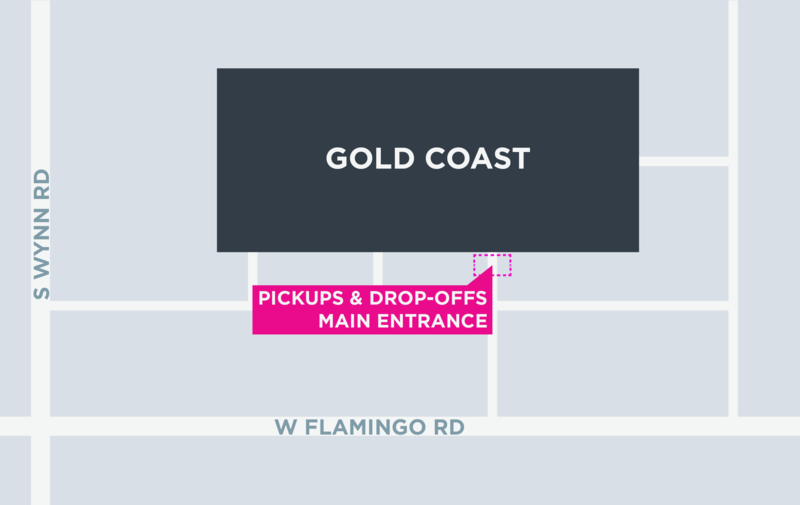 Drop off passengers past the main entrance at the "Rideshare Pickup" sign. Pick up passengers from self parking — enter the parking garage and stay in the Valet Thru lane. 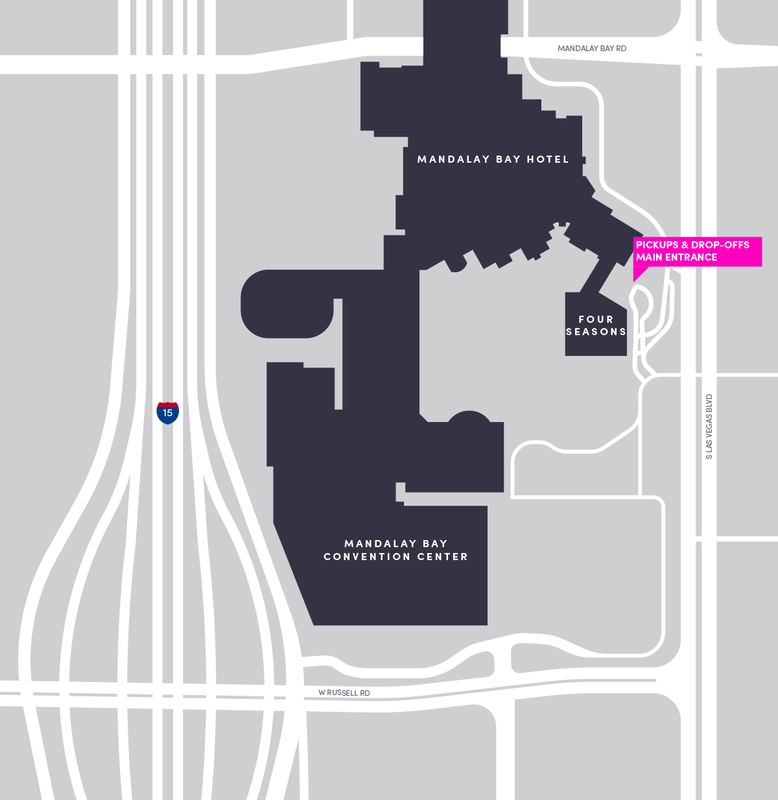 Loop around the parking garage to the Lyft area near the exit (open in Google Maps). 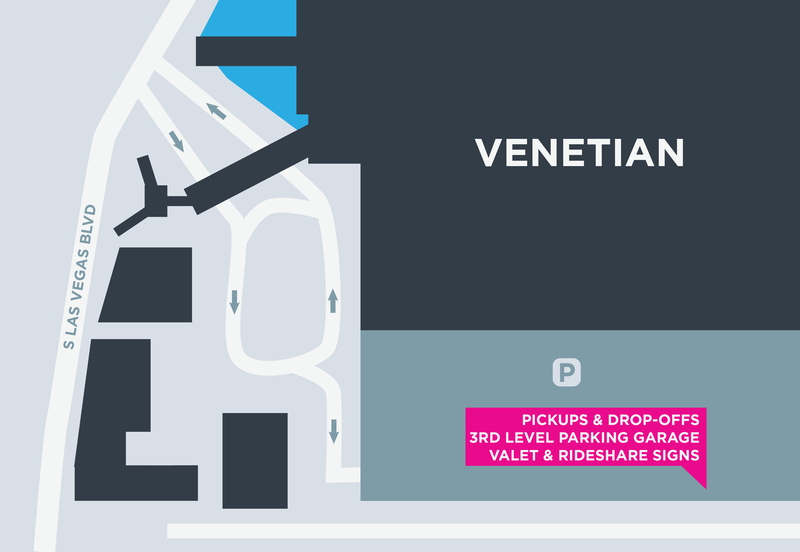 Drop off passengers from self parking — enter the parking garage and stay in the Valet Thru lane. 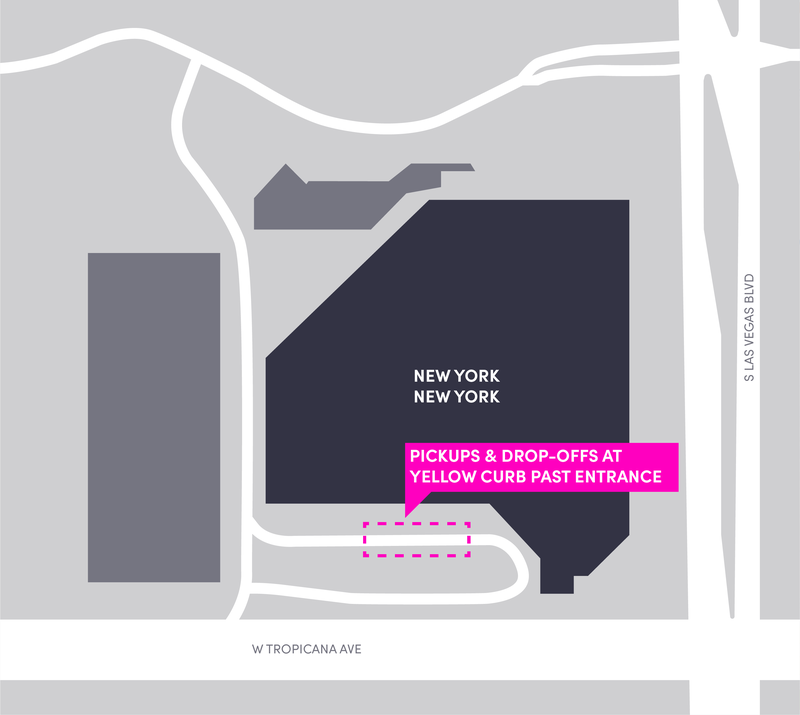 Loop around the parking garage to the Lyft area near the exit. 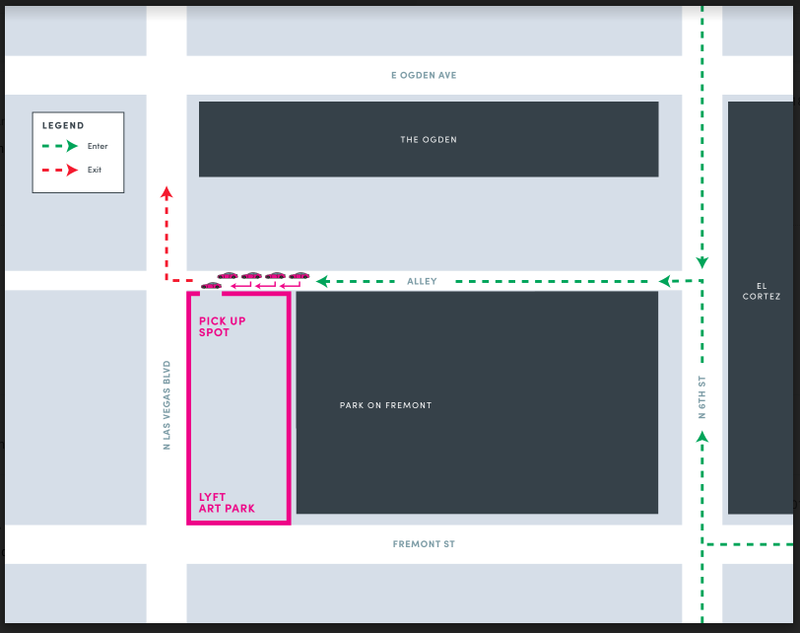 Pick up passengers from in front of the hotel lobby doors off 3rd St.
Do not pick up passengers in the valet area off 4th St. Pick up passengers past the main entrance, by the shuttle drop-off area. Drop off passengers past the main entrance, by the shuttle drop-off area. 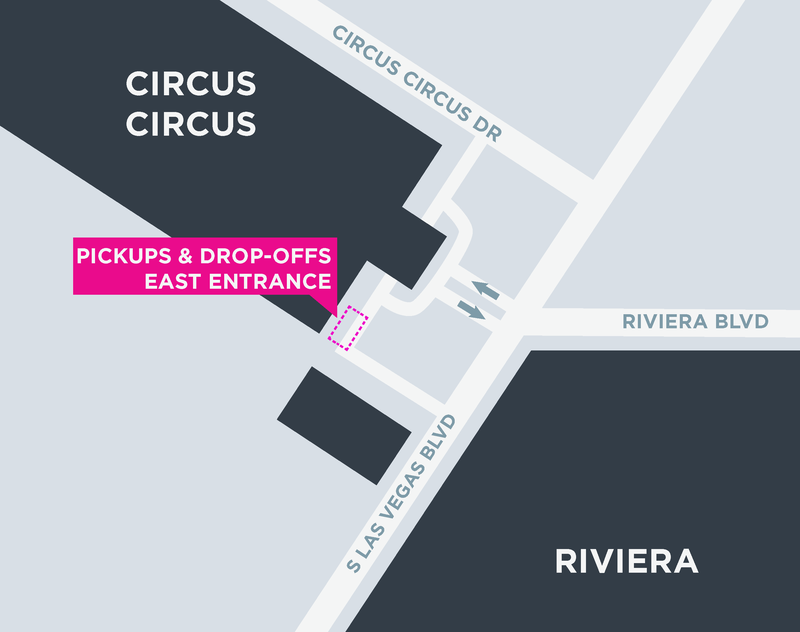 Pick up passengers from the circular driveway in front of the main doors (open in Google Maps). Staging will be available in the parking lot to the North of the building. Drop off passengers at the circular driveway in front of the main doors. 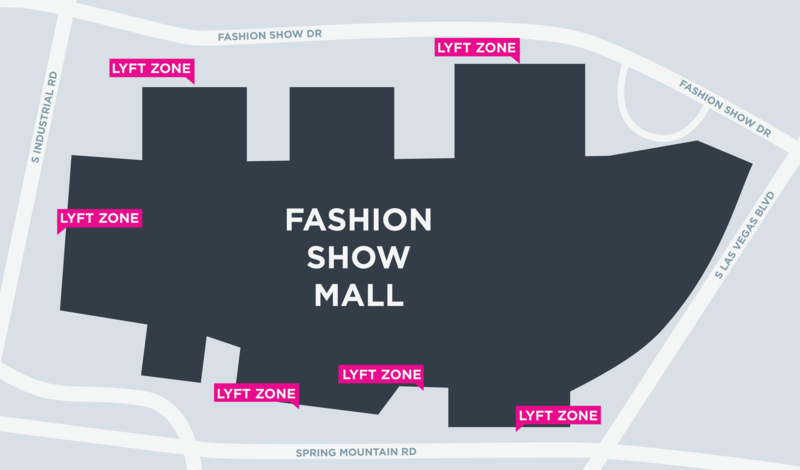 Pick up passengers from one of the Lyft zones pictured below (open in Google Maps). 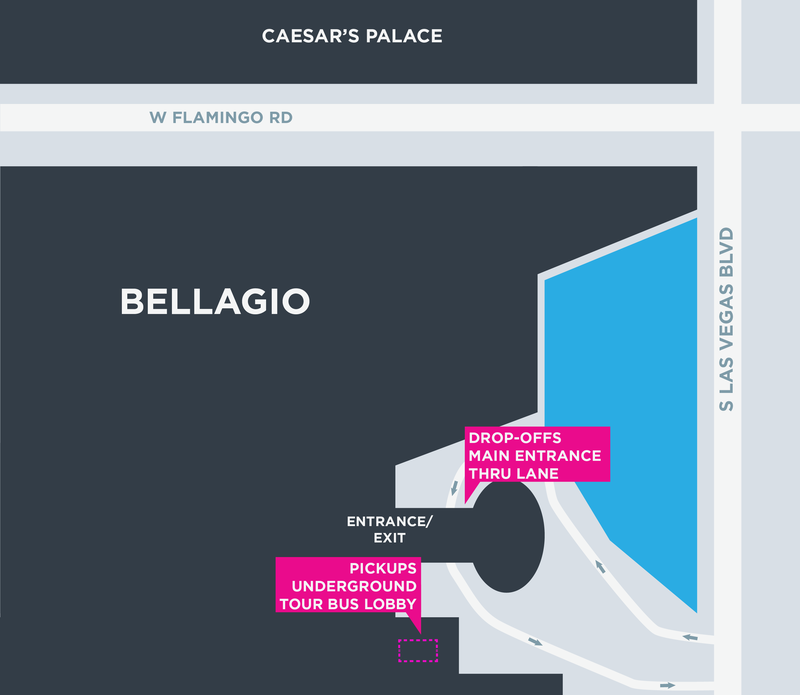 Encore Beach Club: Use the first floor of the Wynn Self-Parking garage. Passengers can cross the bridge from the Encore Beach Club to the second floor of the parking garage and use the stairs to go down one floor to the pickup area. Encore Tower Suites: Be prepared to verify your passenger's name with a traffic attendant. Drop off passengers at one of the Lyft zones pictured below. 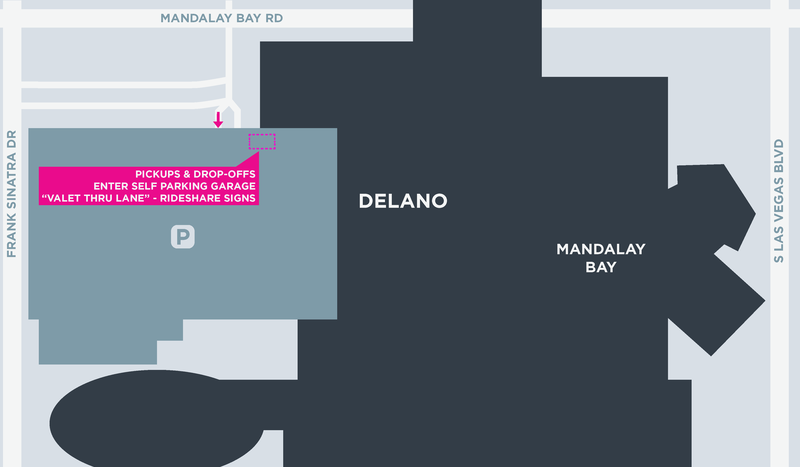 Use the staging area beneath the Encore Marquee (shared space with Limo staging). 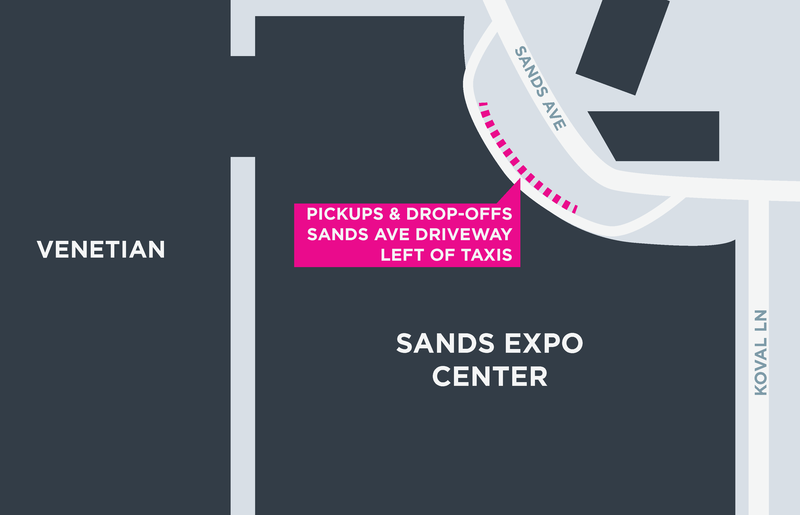 Pick up passengers past the main entrance toward self parking — look for the Lyft sign (open in Google Maps). Do not pick up from the main entrance or arena. Do not wait for requests at the hotel or arena – no staging is allowed. 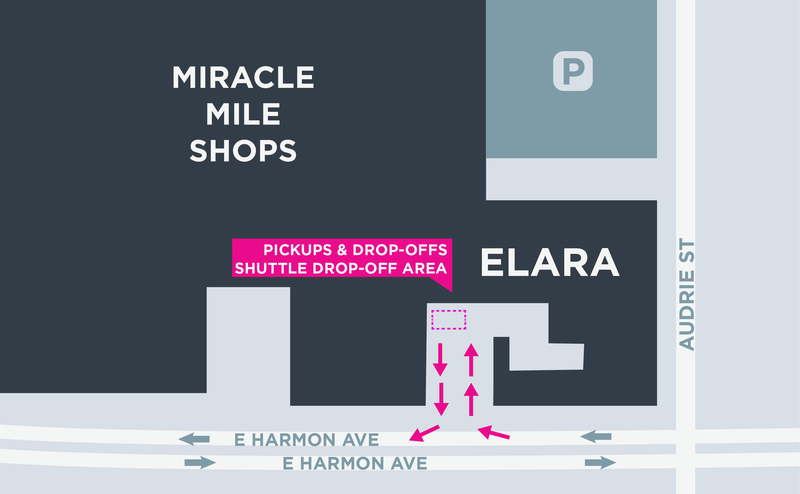 Drop off passengers past the main entrance toward self parking — look for the Lyft sign. Do not drop off at the arena. Pick up passengers from one of the Lyft zones pictured below. Drop off passengers at the location of their choice. 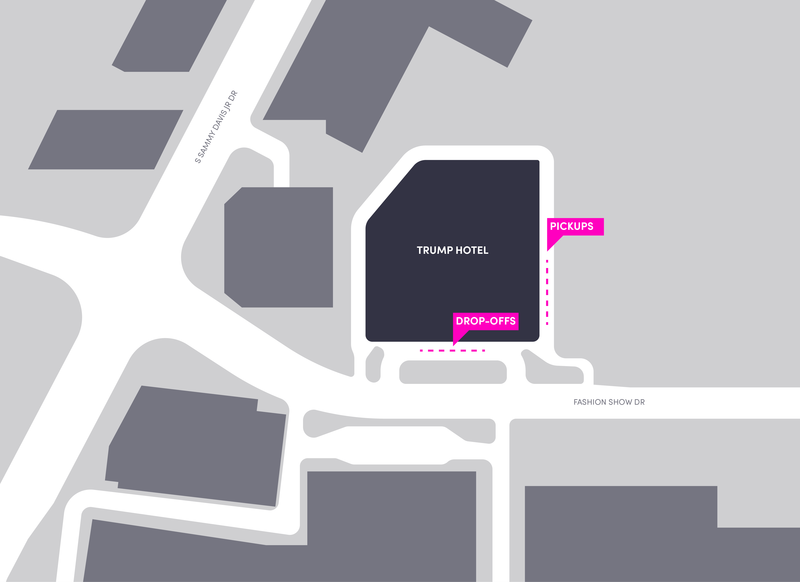 Pick up passengers past the roundabout at the hotel entrance (open in Google Maps). Drop off passengers at the front exit. 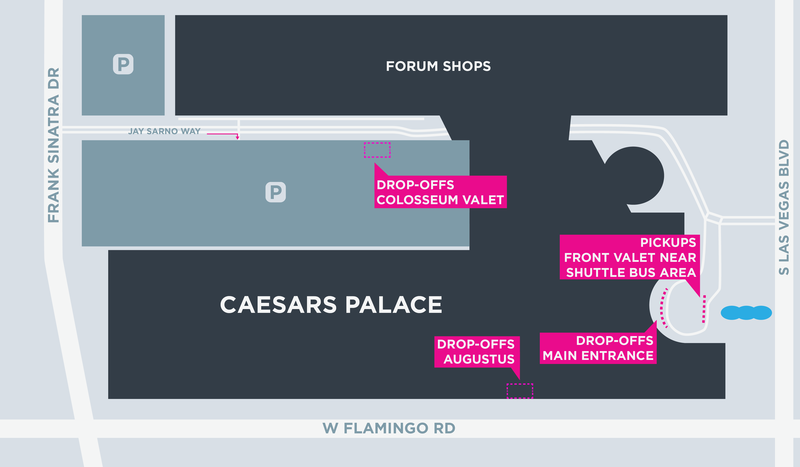 Pick up passengers from the main entrance next to the valet. Drop off passengers at their desired location. Pick up passengers from the West Entrance Carson Towers by Starbucks. Drop off passengers at the West Entrance Carson Towers by Starbucks. Pick up passengers from the ground level by Starbucks under the bridge. Do not pick up passengers from Las Vegas Blvd. Drop off passengers at the ground level by Starbucks under the bridge. 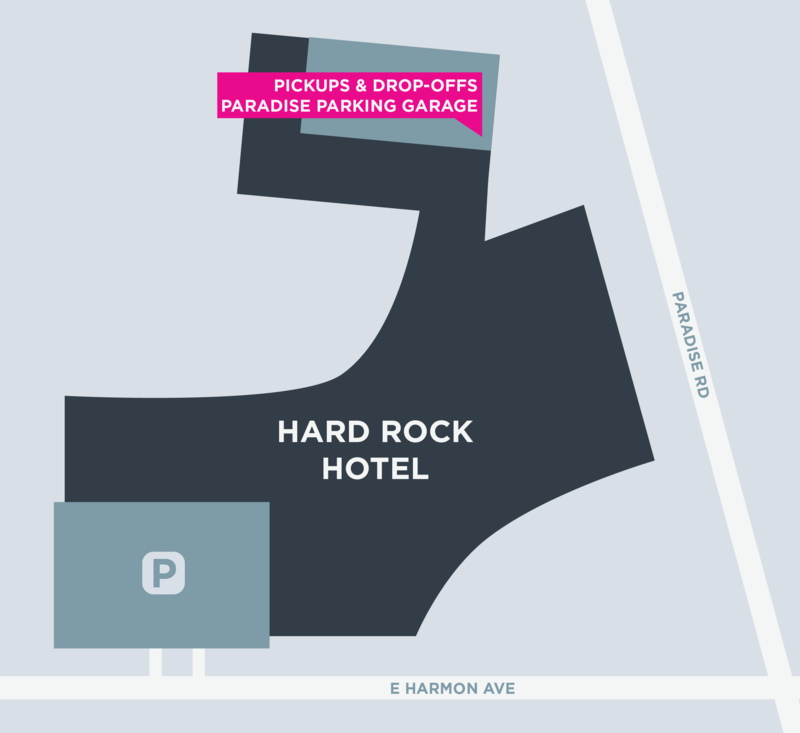 Pick up passengers from the Paradise parking garage. 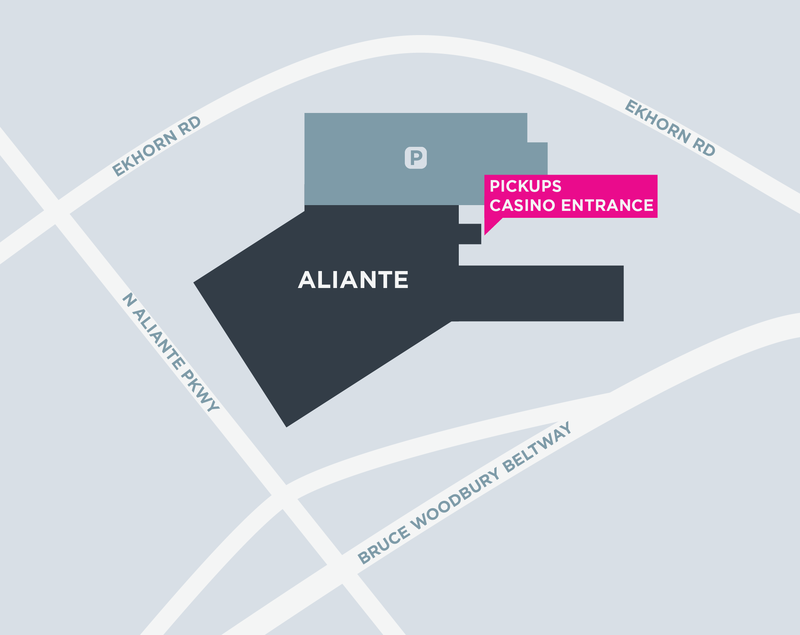 Do not pick up from the main entrance or use the valet lane. Drop off passengers at their location of choice. 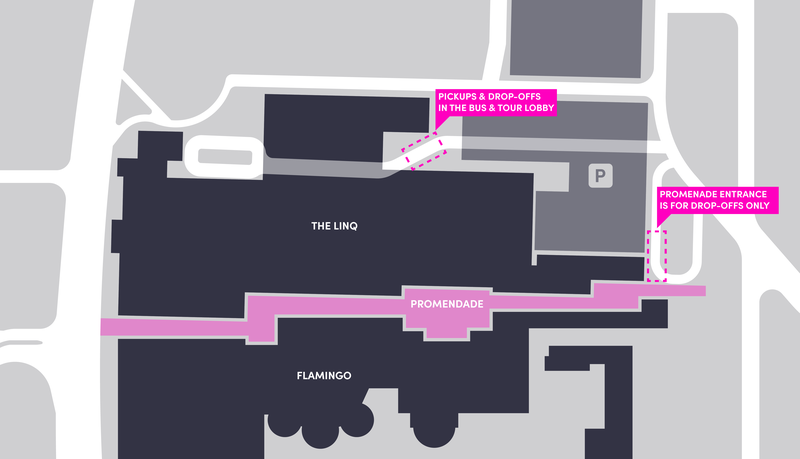 Do not drop off at the main entrance or use the valet lane. 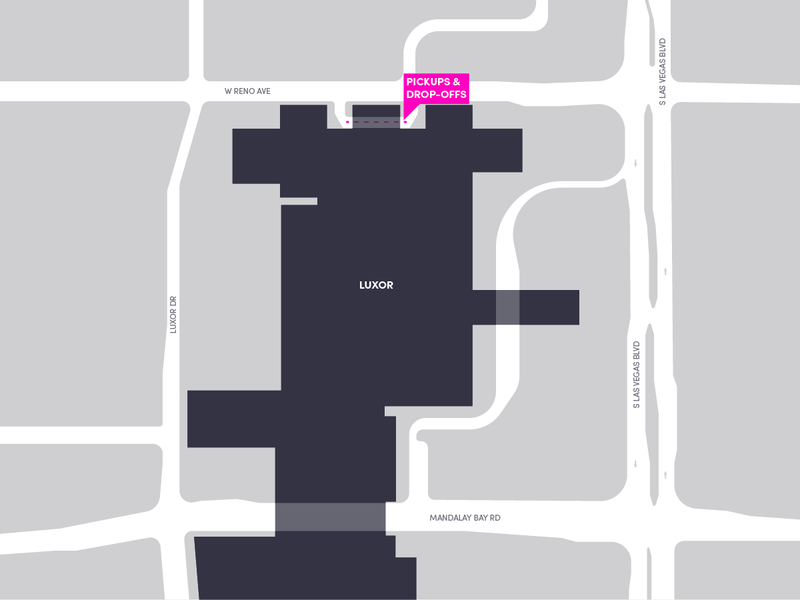 Pick up passengers from the parking garage, at the area before the valet (open in Google Maps). Drop off passengers at the parking garage, at the area before the valet. Pick up passengers from the main entrance. Drop off passengers at the main entrance. Varies between events. Please check back near event date. Pick up passengers from the Bus & Tour Lobby. Drop off passengers at the Promenade entrance and use the Drive Thru lane or drop off at the Bus & Tour Lobby. Pick up passengers from the main entrance (open in Google Maps). Do not pick up from the North entrance. Drop off passengers toward guest drop-off. Pull up past the main doors to the front right. 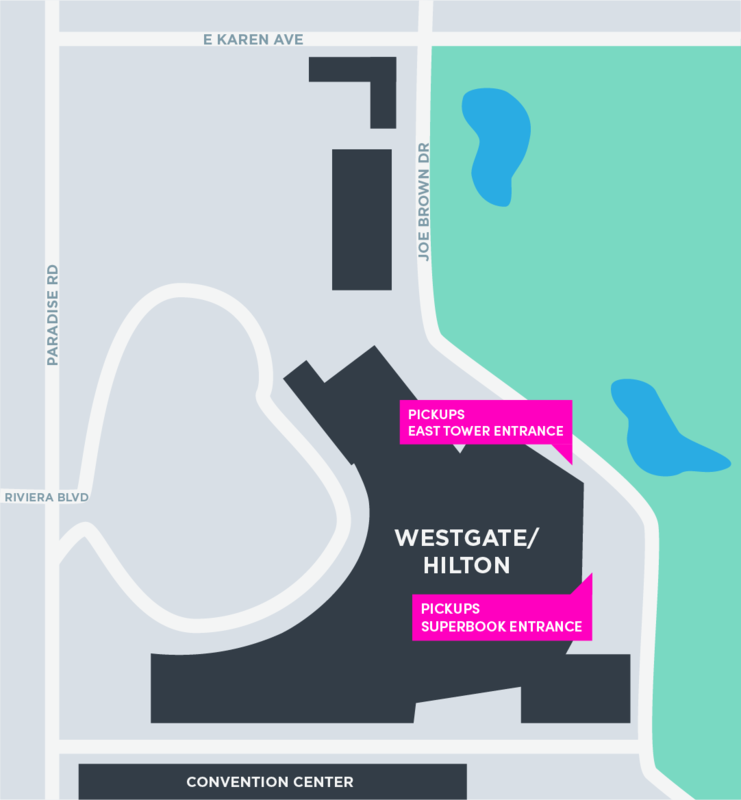 Pick up passengers from the West Casino Entrance on the Spa Level. Pull into a numbered stall and text your passenger with your space number. Please back in to the numbered stalls. Do not pull in forward. Drop off passengers in the designated rideshare area. Do not use the taxi lane. 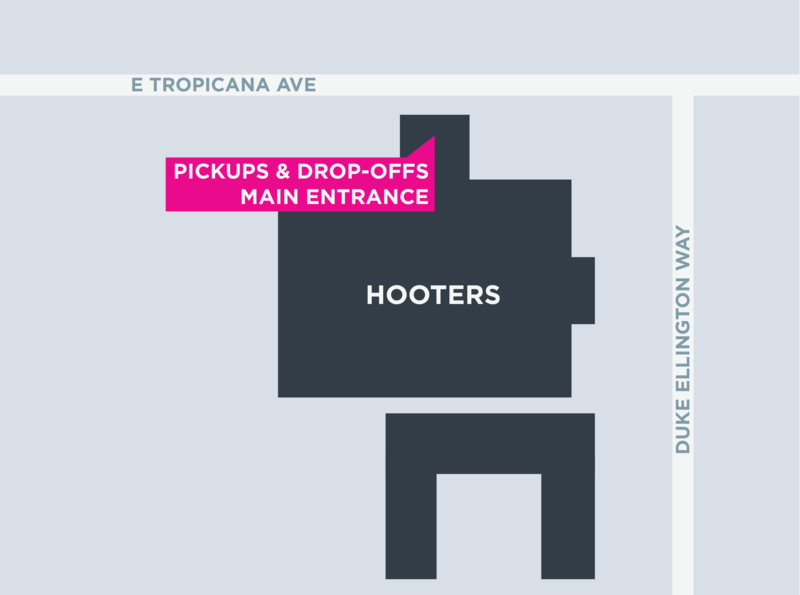 Pick up passengers from the Rideshare entrance. Drop off passengers at the Rideshare entrance. Pick up passengers from the 2nd floor of Self Park. You may enter from Koval Ln or Audrie St, then turn into the Self Parking Garage. You may wait for requests in the Rideshare area on the 2nd floor of Self Park. Pick up passengers from one of the locations in front of the towers pictured below. We recommend giving them a call to coordinate. Drop off passengers at the tower of their choice. 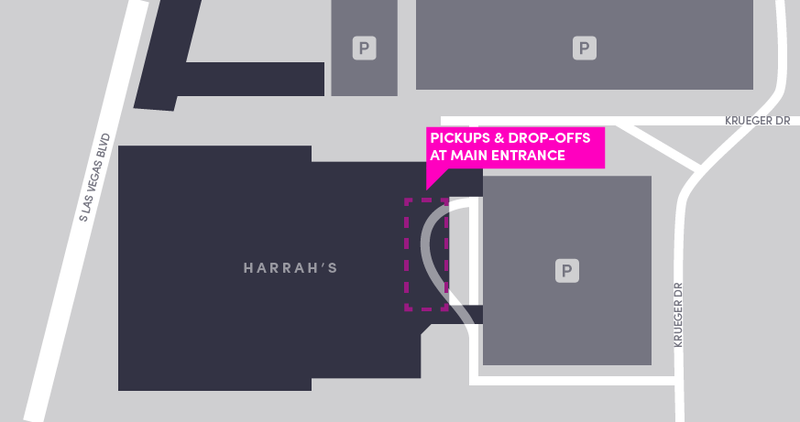 Pick up passengers outside of the north entrance near the valet — look for the Lyft sign (open in Google Maps). There is absolutely no staging at North Valet as well as any other driveway on property. Property will be issuing citations that can lead up to being blacklisted from all properties. Drop off passengers at either the main or north entrance. 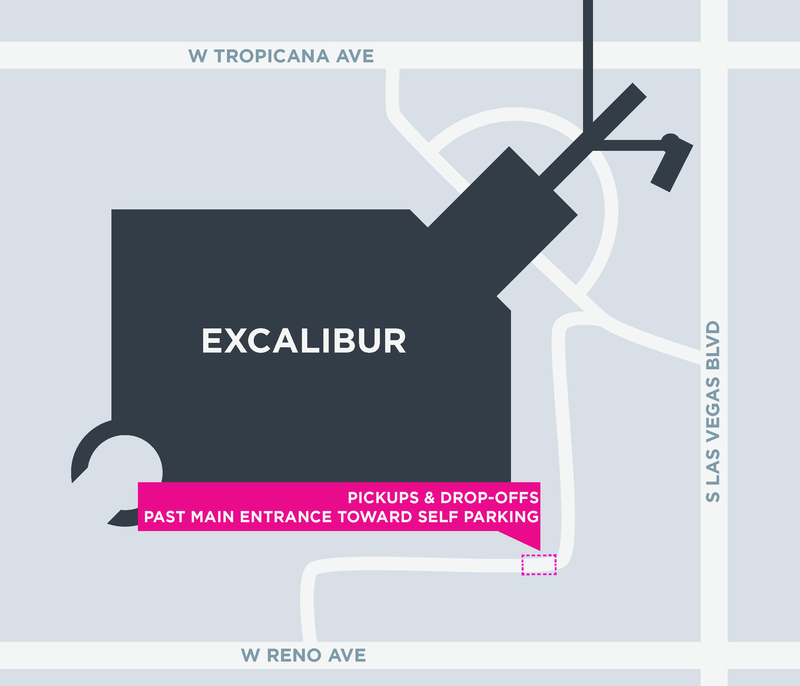 Pick up passengers from the yellow curb on the right, past the front entrance — look for the Lyft sign (open in Google Maps). 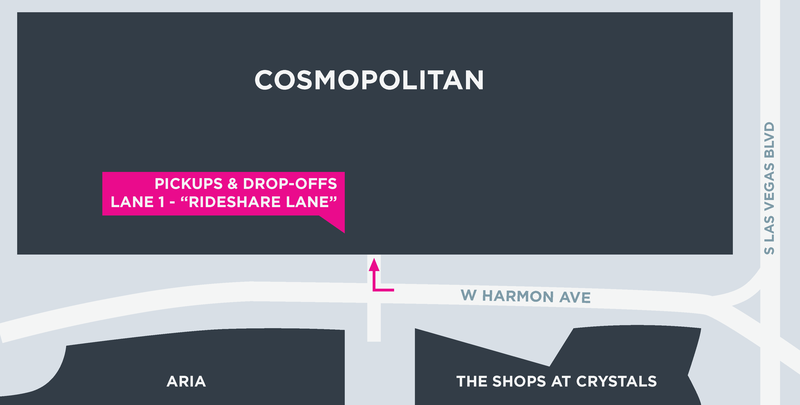 Drop off passengers at the green curb on the right, past the front entrance — look for the Lyft sign. Pick up passengers on the lower level valet in the lane farthest from the entrance. Look for the Rideshare signs. Drop off passengers at the Upper level, in the lane nearest to the entrance. Pick up passengers from the hotel entrance (open in Google Maps). Pick up passengers from the north door at "Tour and Travel," also known as "Anthony Cools Experience Race and Sportsbook" (open in Google Maps). Drop off passengers at the front entrance. 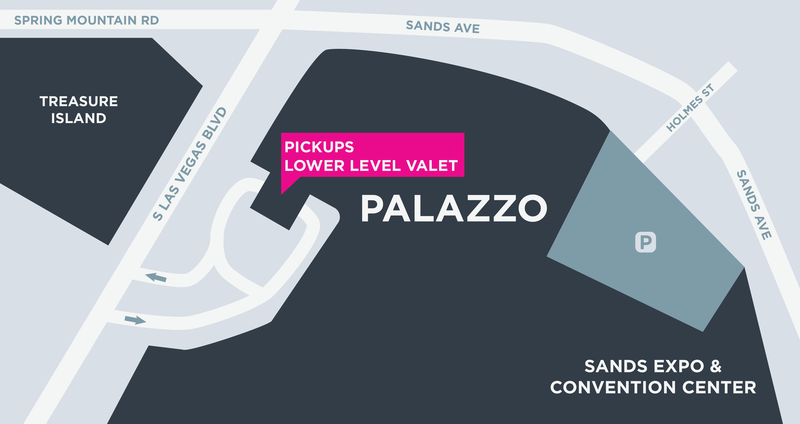 Pick up passengers in front of Valet Front Drive (open in Google Maps). Do not wait for requests on hotel property — staging is not available. 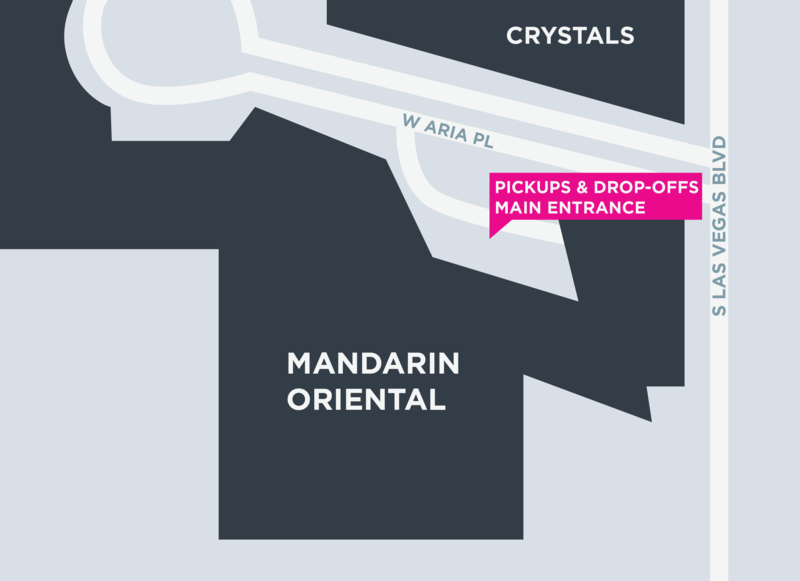 Pick up passengers from the main entrance in the rideshare lane. Drop off passengers at the inner ring in the covered loading area. Follow the taxi signs. 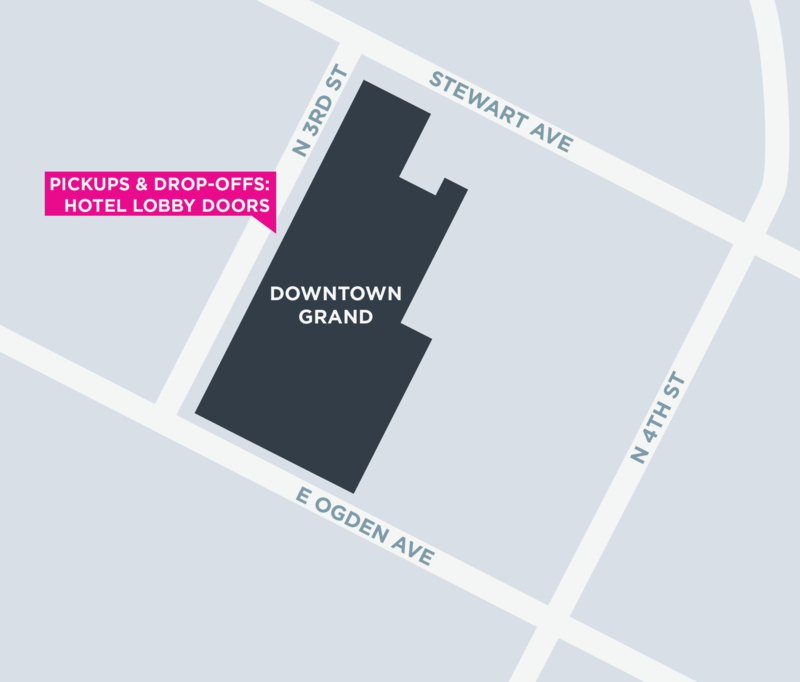 Pick up passengers in the rideshare/taxi staging area in front of the Plaza off of Main St. (open in Google Maps). Do not pick up from the main entrance or at either valet. 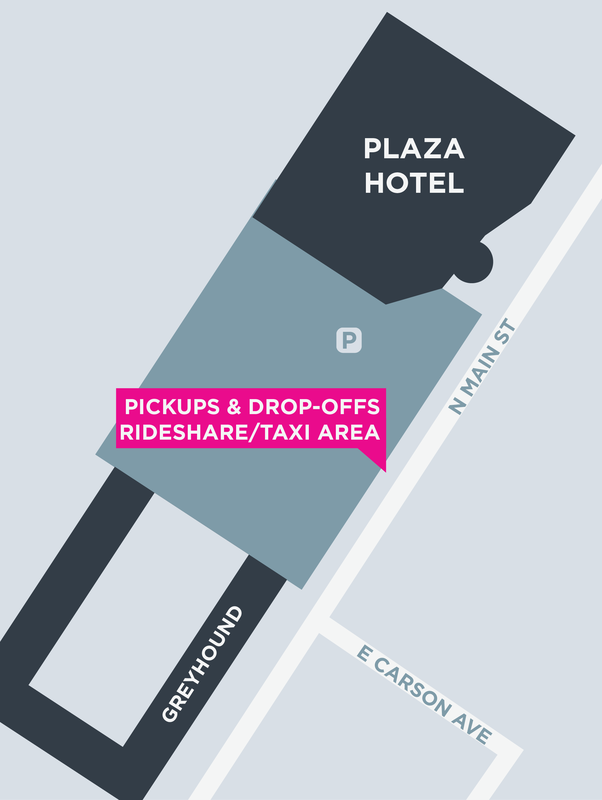 Drop off passengers at rideshare/taxi staging area in front of the Plaza off of Main St.
Do not use the valet areas. 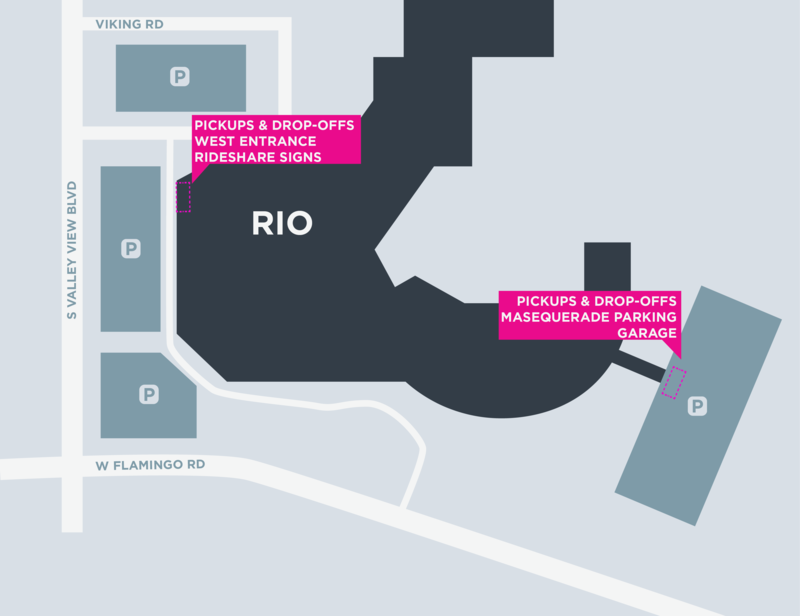 Pick up passengers from the West Entrance near the shuttle pickup OR from the 1st floor in the Masquerade parking garage. Follow all Rideshare signs. Do not pick up passengers from the main entrance. 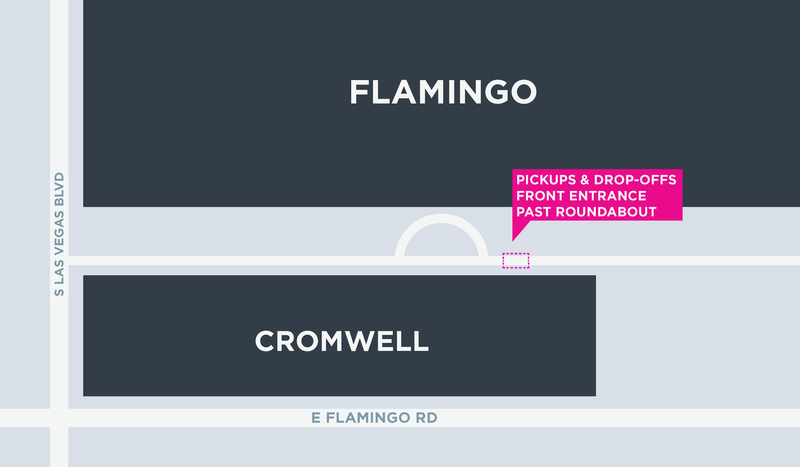 Drop off passengers at the main entrance or at their location of choice. 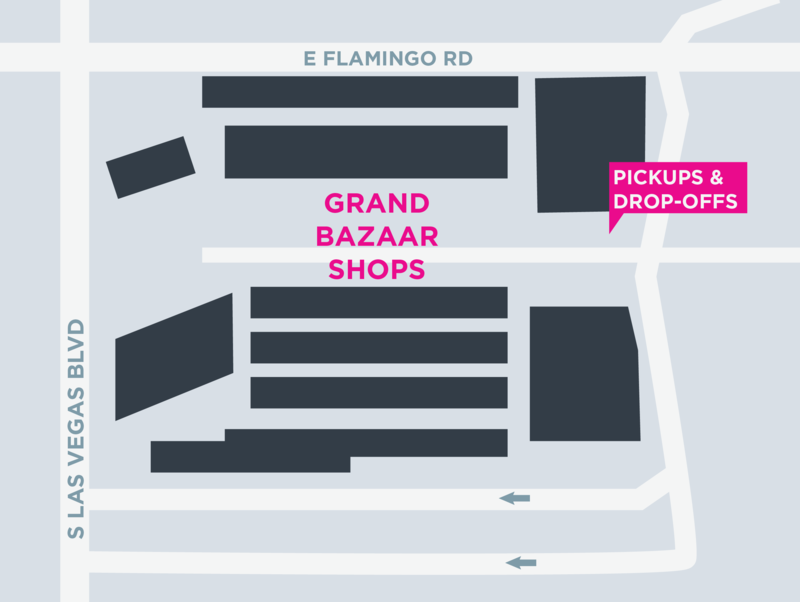 Drop off passengers in front of the main entrance as illustrated in the image below. 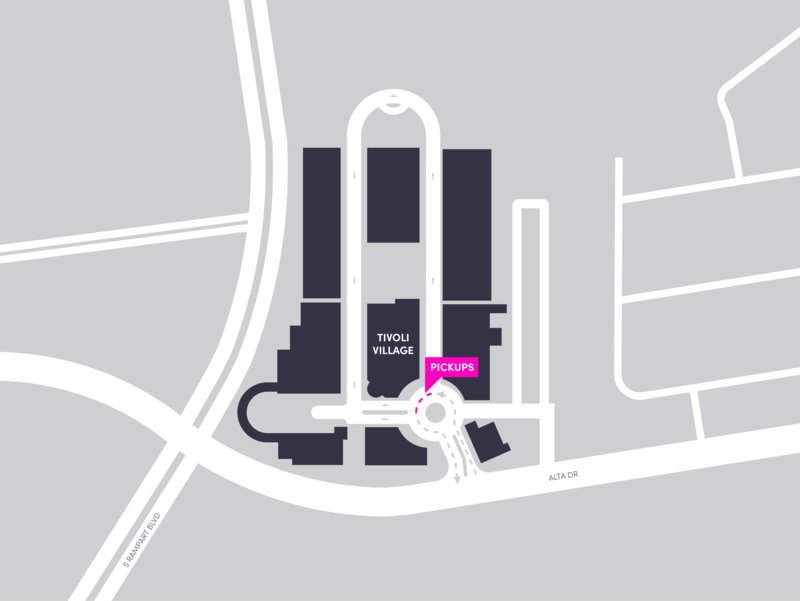 Pick up passengers from the main entrance in the thru lane (open in Google Maps). Drop off passengers at the main entrance in the thru lane. Pick up passengers from the designated pickup spot in the traffic circle. Drop off passengers curbside anywhere inside of Tivoli Village. 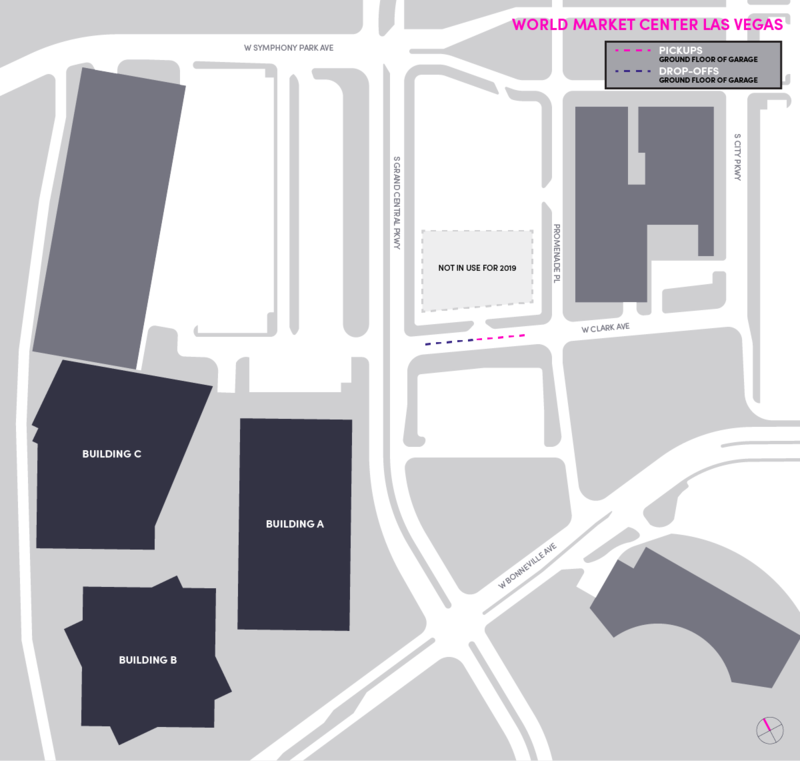 Pick up passengers from the rideshare lane at the main entrance. Drop off passengers at the rideshare lane at the main entrance. 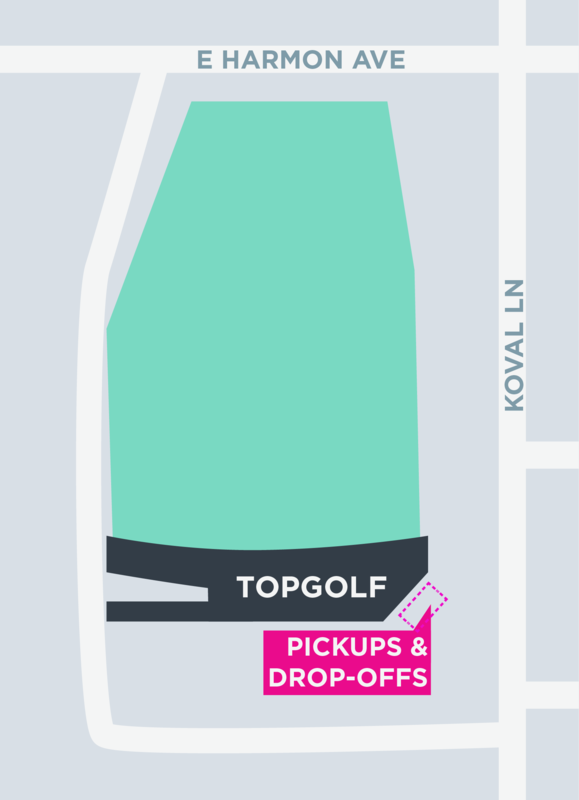 Trips to or from Top Golf (4627 Koval Ln, Las Vegas, NV 89109) are subject to an $0.50 event fee at all times from 5/15/17-5/17/18. This fee shall start applying on 5/15/2017 and may be subject to change. For more information on other fees included on your Lyft ride, check out your city’s pricing details at lyft.com/cities or at lyft.com/terms. 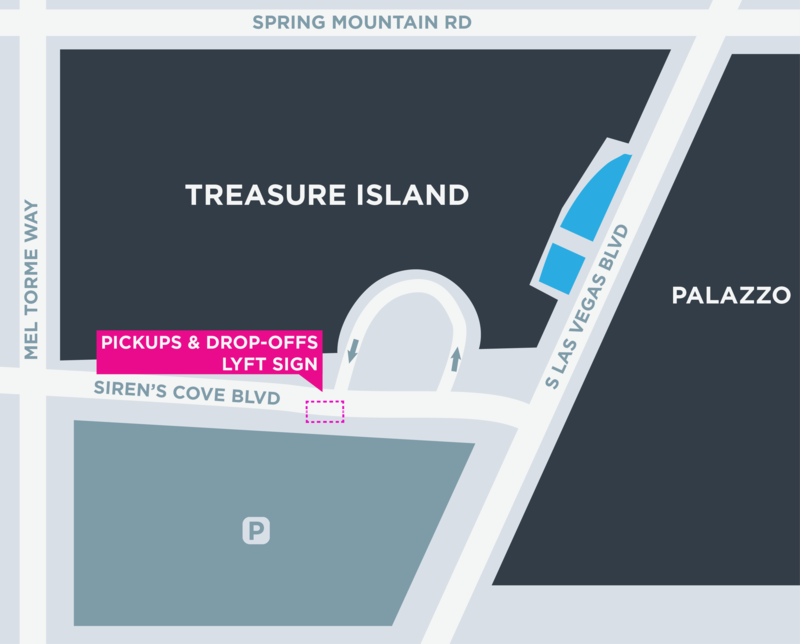 Pick up passengers from the Lyft zone on Siren's Cove Blvd — look for Lyft signs (open in Google Maps). 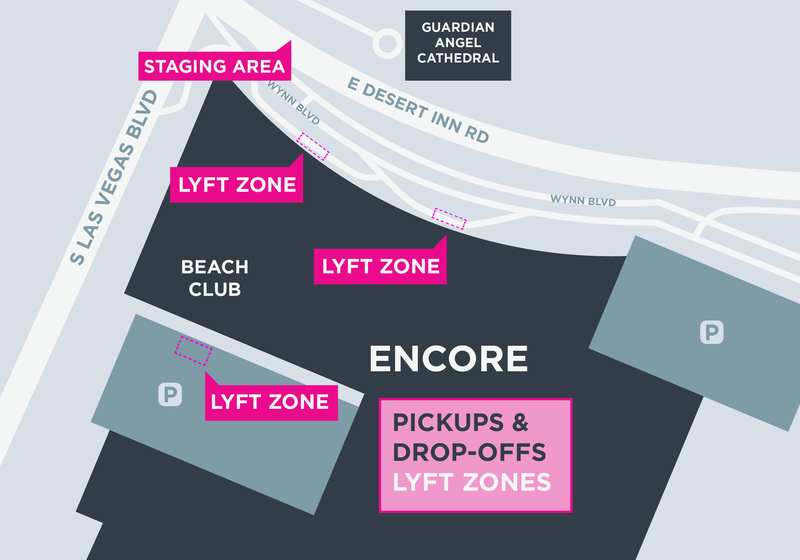 Drop off passengers at the Lyft zone on Siren's Cove Blvd — look for Lyft signs. Pick up passengers from the north entrance (open in Google Maps). Drop off passengers at the north entrance. 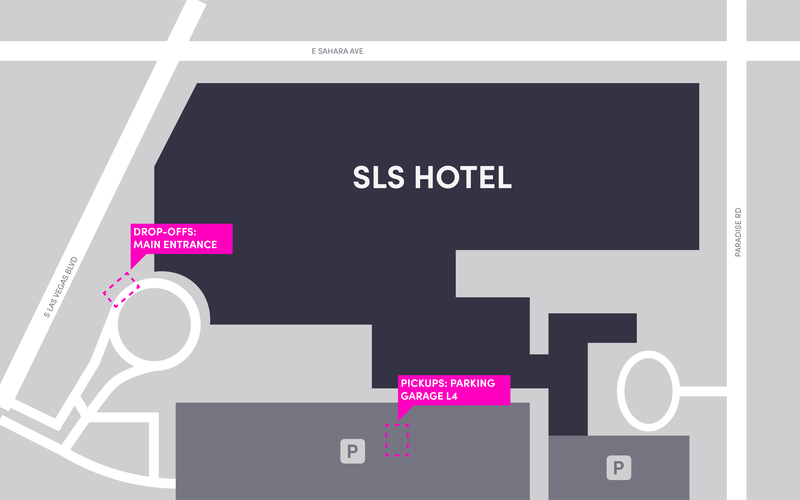 Pick up passengers on the east side of the hotel as pictured below. Drop off passengers at the left lane of the main entrance. 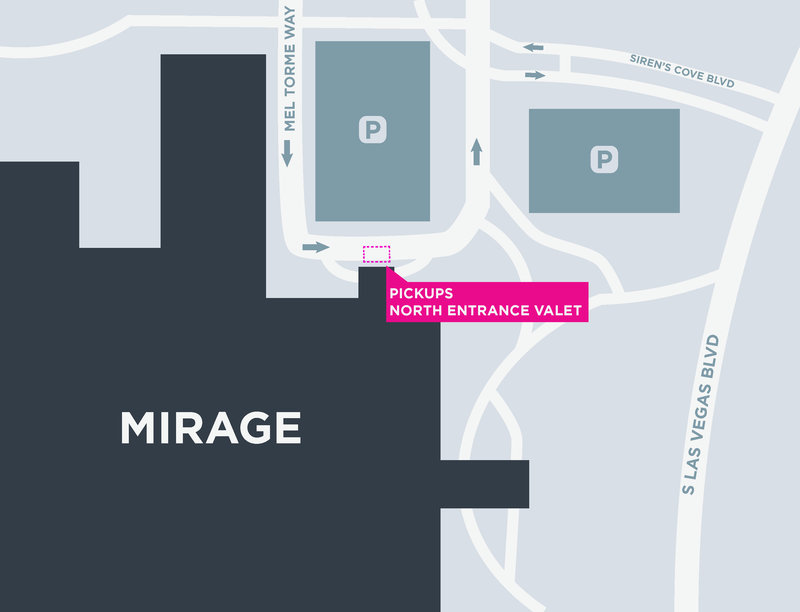 Pick up passengers from the complimentary valet lane located in-between the Maggiano's Little Italy and California Pizza Kitchen restaurants at One Summerlin Mall as pictured below. 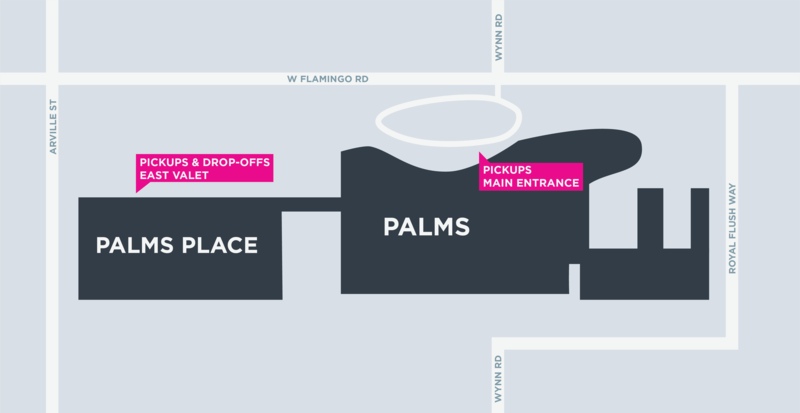 Drop off passengers at the complimentary valet lane located in-between the Maggiano's Little Italy and California Pizza Kitchen restaurants at One Summerlin Mall as pictured below. Pick up passengers from the third level Valet in the parking garage. Follow the valet and rideshare signs. Staging will be available. (open in Google Maps). Drop off passengers at the front main entrance, in the taxi drop-off lanes or on the third level valet. 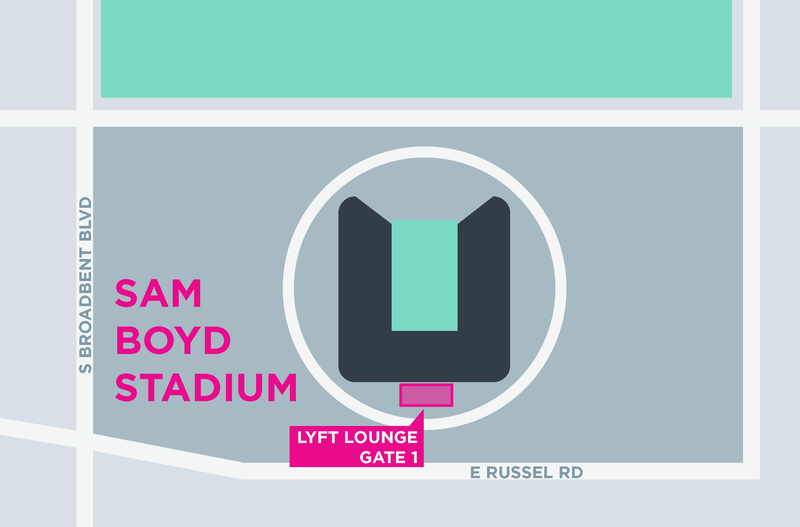 Pick up passengers in the first lane near the main entrance — look for the Lyft sign (open in Google Maps). 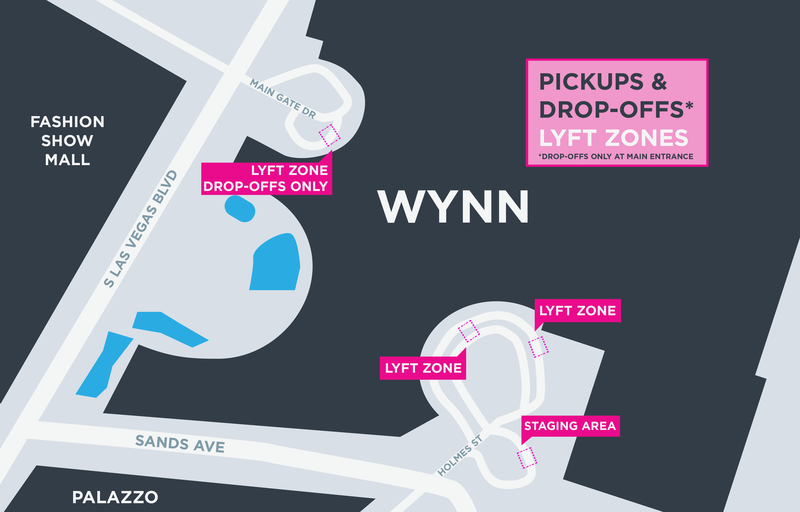 Drop off passengers in the first lane near the main entrance — look for the Lyft sign. Pick up passengers from the East Tower Entrance OR the Superbook Entrance. Drop off passengers at the Superbook entrance on Joe W. Brown Dr.
At Wynn Tower Suites, be ready to confirm your passenger's name with a traffic attendant. 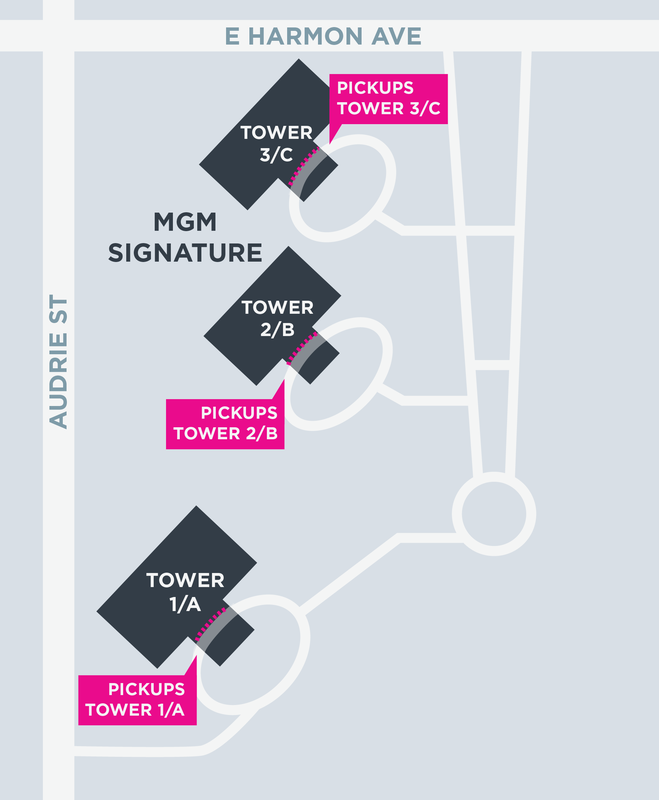 Drop off passengers at the Main Entrance, South Entrance, or Tower Suites (Lyft zones pictured below). 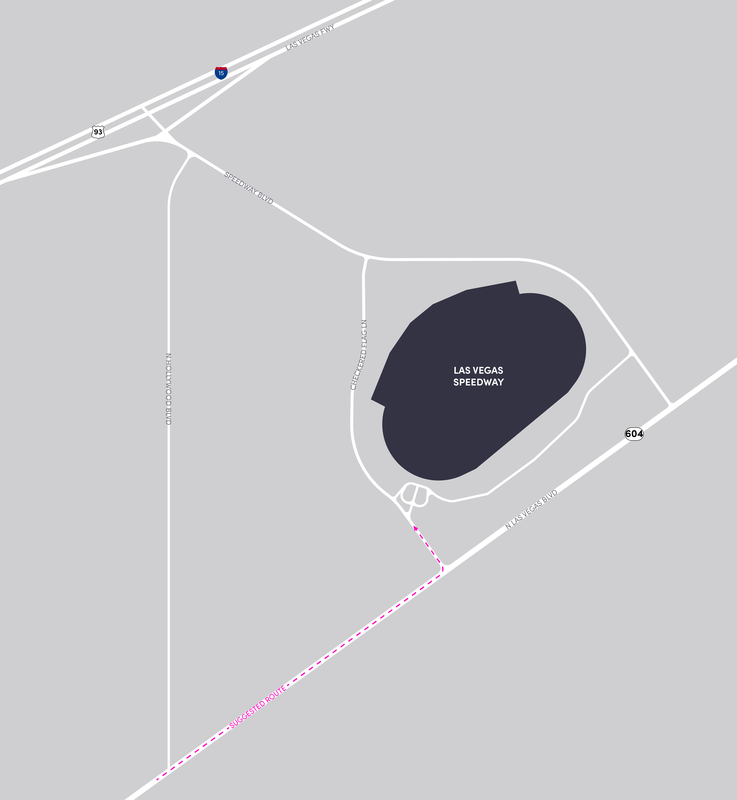 Use the staging area at the Wynn South Entrance Tour Bus Loop.